Do not blame your heart. It beats to supply blood to the body. Now, if you're good at anatomy and you blame the hypothalamus which controls emotions, you're still wrong! Why? Do you put the blame on body organs. 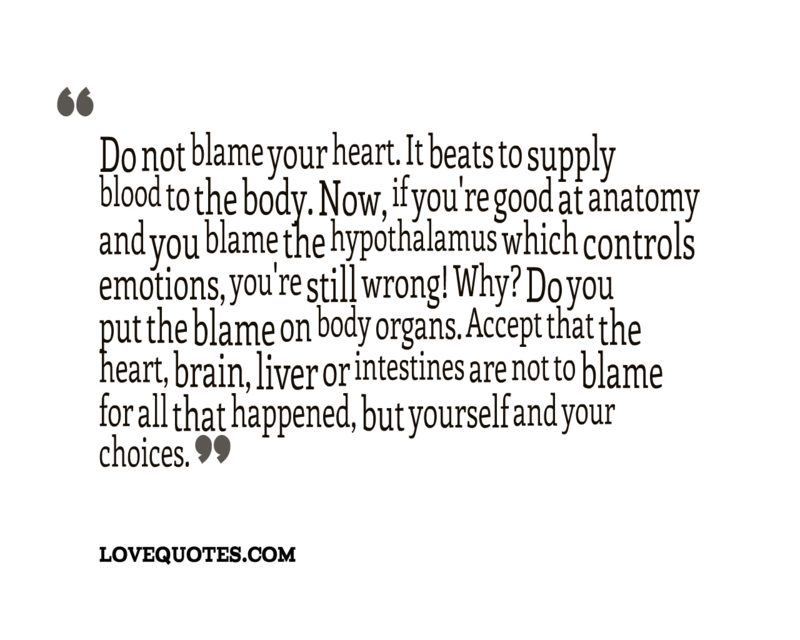 Accept that the heart, brain, liver or intestines are not to blame for all that happened, but yourself and your choices.